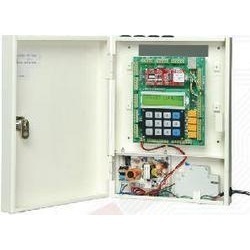 Our range of products include fault isolator module, gsm alarm control panels, gst hand held programmer, morley one loop fire alarm control panel, spectra 2 door controller and spectra 4 door controller. The Notifier ISO-X(A) Fault Isolator Module is used with NotifierOnyx and CLIP series Fire Alarm Control Panels (FACPs)to protect the system against wire-to-wire short circuits on theSLC loops. ApplicationsThe Fault Isolator Modules should be spaced between groupsof sensors in a loop to protect the rest of the loop. 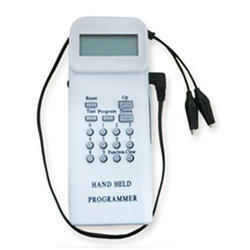 Use to isolateshort circuit problems within a section of a loop so thatother sections can continue to operate normally. The ISO-X(A)supports a maximum of 25 devices in-between isolators,except when using relay bases or legacy IPX multisensors.NOTE: ON LOADS PER RELAY BASE AND LEGACY MULTISENSORDETECTORS/ISOLATORS/ISOLATOR BASES: themaximum number of addressable devices between isolators (orB224BI isolator bases) is 25 devices. B224RB relay bases and legacy IPX-751 multisensor detectorsdraw more current than all other intelligent devices. Whencalculating the 25-device maximum: B224RB.• B224RB represents 2.5 devices.• IPX-751 in a standard base represents 12 devices.• IPX-751 in a relay base represents 14.5 devices.• All other addressable devices represent 1 device. ConstructionThe face plate is made of off-white plastic. Includes yellowLED indicator that pulses when normal and illuminates steadywhen a short is detected. OperationAutomatically opens circuit when the line voltage drops belowfour volts. Fault Isolator Modules should be spaced betweengroups of addressable devices (maximum 25, see notes onpage 1) in a loop to protect the rest of the loop. If a shortoccurs between any two isolators, then both isolators immediatelyswitch to an open circuit state and isolate the groups ofsensors between them. The remaining units on the loop continueto fully operate.In Style 4 loops, the ISO-X(A) is generally used at each T-tapbranch, to limit the effect of short circuits on a branch to thedevices on that branch. The LED indicator is on continuouslyduring a short circuit condition.The ISO-X(A) Fault Isolator Module automatically restores theshorted portion of the communications loop to normal conditionwhen the short circuit condition is removed. 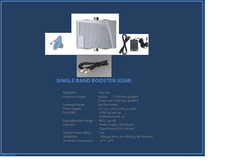 GSM Single Band Booster offeredcome with wide coverage range of 500-800 meter as well as frequency uplink range of GSM 80-935MHz and frequency downlink range of GSM 935-960MHz. Coming in power supply of AC 330-220 V, these single band boosters offer dB gain of 50 for uplink and downlink. 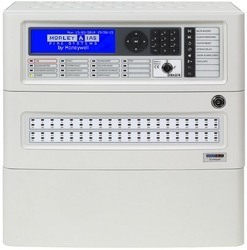 Some of its features include power supply LED denote, suitability for use in areas like home, office, basement, hotel; suitable for areas with poor mobile phone signals, supports need to boost coverage in area, allows for simple installation, option of adjusting gains in event of sudden strong signal input. 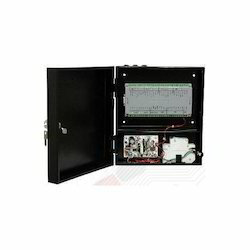 The Morley DXc1 Connexion is an enhancement of the Morley-IAS Dimension panel range, connecting the traditional Morley-IAS qualities of reliability, flexibility and value with advanced features and intuitive functionality.